Teachers were a frequent presence during the most recent General Assembly. The board of Jefferson County Public Schools has unanimously passed a resolution that asks Kentucky Commissioner of Education Wayne Lewis to withdraw his request for the names of school employees who called in sick in recent weeks. Lewis said he won’t withdraw the request. The school board held a special meeting Tuesday to discuss the Kentucky Department of Education’s request for the district’s attendance records. The resolution cites concerns about the effect on employee morale, discouraging teachers from exercising their First Amendment rights and potentially straining the relationship between teachers and the superintendent. The resolution acknowledges Superintendent Pollio is legally required to meet the Commissioner’s request if it is not withdrawn. “The goal is to say what our opinion is, say what the law is, and then I don’t want to predict what will happen,” Board Chair Diane Porter told reporters following the board meeting. The resolution also says that the Board will work with teachers, the Kentucky Department of Education and state legislators to “make it possible for teachers to effectively exercise their rights without interruptions to learning,” however Porter did not say how the district would accomplish that. “I don’t want to say what should happen, I think we have to see what will happen,” Porter responded, when asked what strategy the district would take to prevent any future work stoppages. 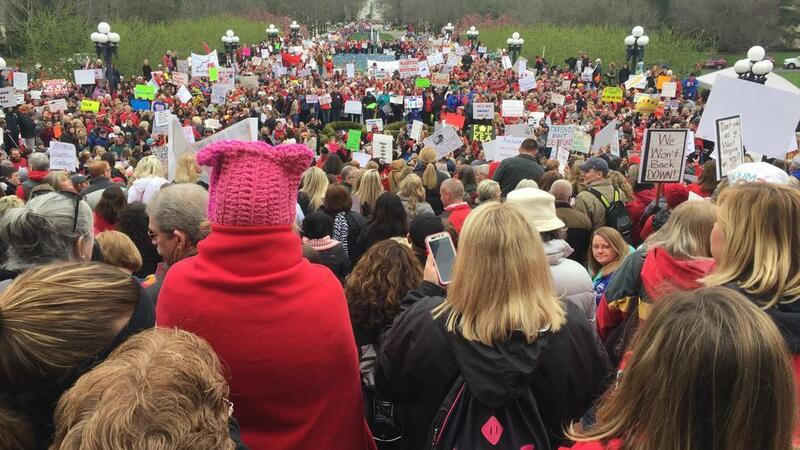 An agreement between JCPS and the Jefferson County Teachers Association meant to curtail the sickout proved ineffective, as teachers continued to call in sick in large numbers, closing schools three more days after the deal was brokered. each district’s sick leave policies. Commissioner Lewis said the intent of his request is to prevent future work stoppages. “Best-case scenario is we collect information across our state, and we work together with superintendents to put processes and procedures in place that allow teachers to register their dissent and opposition and keep school districts open,” Lewis said. Lewis has said he cannot determine how the Department of Education will use the attendance records until all information has been collected and analyzed. The information was due to the state Monday evening, but JCPS was among several districts that requested an extension to turn over those records. In a letter to the Kentucky Department of Education, JCPS officials cited the need for more time while a third-party vendor fulfilled the data request. Officials also said teachers who called in sick did not submit doctors’ notes because ultimately no employees took sick leave since the district canceled classes. A JCPS spokesperson has confirmed that the extension was granted. The district now has until Monday, March 25 to fulfill the KDE’s request for information. Lewis and the Kentucky Department of Education released a response to the resolution later Tuesday night. Lewis said he will review the leave policies of the ten districts that are required to submit attendance records to determine what next steps to take.